"Fiesta Kingfisher. 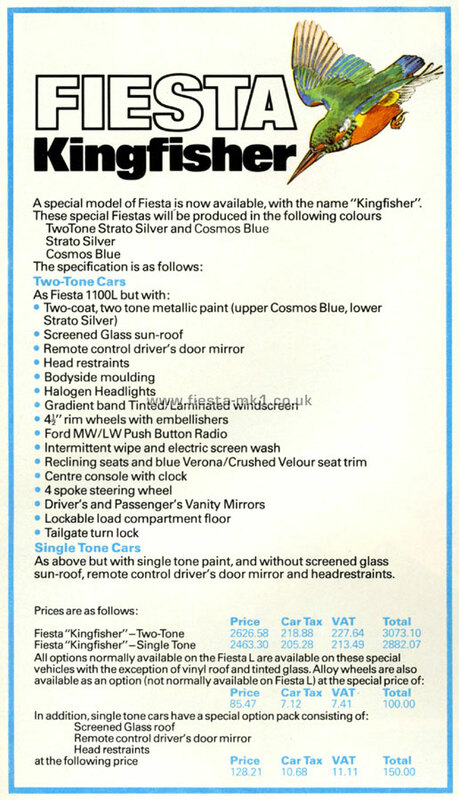 A special model of Fiesta is now available, with the name "Kingfisher"." Release Date approx. October 1978.